Visit our reviews page and see what others are talking about! Special Touch living Residential Home is the perfect answer for seniors who value their dignity and independence. 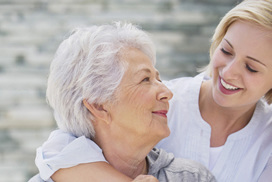 We also offer special individualized care plans for each resident. Prior to admission, we meet with each resident and family member to determine the needed care and service for that resident. Our highly trained and capable staff consist of our Administrator, Certified Nursing Assistants (CNA), and Activity Coordinator that will be there for your every need. Our staff members are very compassionate and that is value driven and attentive to the individual needs of each resident. Our staff is comprised of individuals who are experts within their field and who remain focused on the individuality of each resident. You can rest assure that each one of our staff is carefully chosen to provide you with absolute best care and assistance. As a licensed North Carolina Residential Care Home, we would count it an honor that you would call Special Touch Living house your home. Contact us today and let our friendly staff assist you!